Over the last few years I have utilized annual themes in writing these devotional articles. It started in 2011 by focusing on Community. From the theme of Community came Building Bridges in 2012. This last year was focused on Embracing. These themes put together create a long trajectory. When we begin to understand ourselves as a community and as individuals within a community, we can then begin to build bridges to that community, understanding that we are actually the bridges themselves. A bridge is a connection between two places that do not immediately meet. A bridge touches, or better yet, embraces both sides of its span. An embrace is an introduction, a discovery, and the beginning of what possibly lies ahead. The embrace leads to a next step. Recently, my family was listening to an audio book chronicling the adventure of Lewis and Clark as they set out to discover a water way from the upper Midwest to the Pacific Ocean. 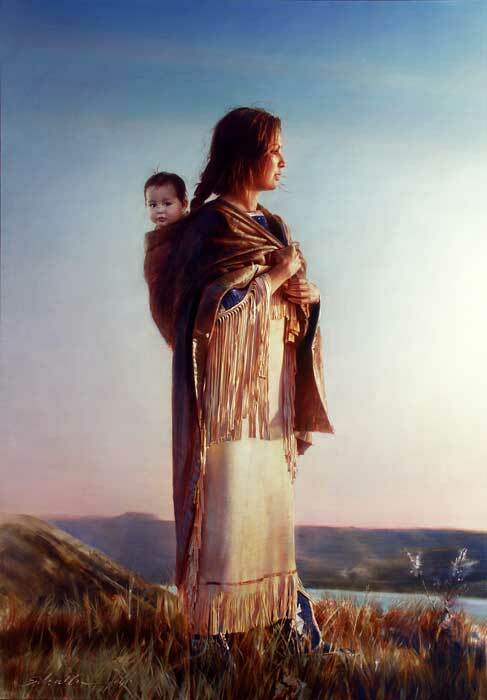 Some distance into the journey, Sacajawea, their Native American guide, introduced them to her people, the Shoshone. The Shoshone had a custom of greeting one and all with a hug. Lewis and Clark humorously referred to this greeting as the “national embrace!” Sometimes this ritual would last for hours. Lewis and Clark, and as well the Shoshone, discovered that after their embrace there were decisions to be made. Would they continue together or not? To what degree would they support one another? Would they share resources materially, socially, or politically? As they discovered, the embrace was only the beginning. As it turned out, the Shoshone became a vital part of the success of the expedition. This success was based on each party choosing and sticking to the next step. 2014 is a year of next steps. A year of making decisions and taking action. This trajectory we are on is a continual trajectory. Community, bridge building, and embracing will happen concurrently with and will even be the grace to empower us in our journey into the next steps. There is much that lies before us, but we are not alone on this expedition. God has given us the Holy Spirit, the Scriptures, and one another. Just as Sacajawea introduced Lewis and Clark to the “national embrace” that led to a successful alliance, may we as a community continue in the love that chooses to embrace and takes the next steps of loving God by loving one another, so that the influence of God’s kingdom would extend beyond our wildest dreams. This entry was posted in Uncategorized and tagged building bridges, community, embracing, grace, hope, Lewis and Clark, love, Sacajawea on January 3, 2014 by Brook Fonceca. Just this last Sunday, missionaries to Guatemala, Shawn & Damaris Smith visited us at VLC. They are directors of a missions organization called “Now Is The Time.” Their by line is “Because there is never a good time to go.” As you can imagine, their invitations to serve with them for a week in Guatemala have been turned down with the reason, “It’s just not a good time for me to go.” In all fairness, at times this is a legitimate answer. But let’s face it, how often have we turned down opportunities to __________ (you fill in the blank) with the response, “It’s just not a good time for me…” I know I’ve done it more times than I care to admit. I’m not just talking about short term missions trips. Opportunities come our way constantly, either as invitations from people or directives from the Holy Spirit. It is almost criminal the number of times I’ve brushed off an invitation with the excuse, “I’ll pray about it,” or just ignored the leading of Jesus, pretending to not hear and not see. In the name of inconvenience I’ve turned off my heart and separated myself from the life flow of God that comes through service. When I first thought about embracing inconvenience, three passages of scripture came to mind: 1) the Sermon on the Mount where Jesus taught to turn the other cheek, relinquish our coat as well as our shirt, and go the second mile ; 2) the story of the good Samaritan where the priest and the Levite refuse to be inconvenienced by the injured man; and 3) James’ teaching about faith and works, saying one has faith but doing nothing to show it. Of course the story of the Good Samaritan is the classic text illustrating how someone chose to be inconvenienced for the sake of someone else’s well being. He didn’t have to. The priest and the Levite walked by without rendering aid. Somehow, the Samaritan man valued the injured man’s life enough to take time to do what was in his power to do. I think that is all we are asked to do, as well. So my encouragement is to not only be open to the possibility to serve, but also to purposefully as the Lord if and how we are to help when we see a need. Jesus may say “Go ahead and lend a hand,” or he may say, “I have someone else to help out here.” But in the asking, we must be willing to be inconvenienced. For it is in the giving, we receive. It is through blessing, we are blessed. It is in the laying down of our lives that life flows back to us. I pray God’s grace on you as you choose to be inconvenienced for the glory of God and the benefit of others. This entry was posted in Uncategorized and tagged building bridges, faith, love, mission on May 3, 2013 by Brook Fonceca. I concluded last week’s devotional with this verse. In theological circles they have a term to describe this type of living. They call it cruciform (a life formed by the cross of Christ). It is a concept I use regularly as a filter to assess my thoughts and actions. The other day I was praying through the Priestly Blessing in Numbers 6:24-26. I realized that this blessing wasn’t to stop with the first recipient, but in turn be re-appropriated as an outflow of being blessed. This is a covenantal blessing that can be extended to include others in the covenant with God through a life lived sacrificially. I will try to unpack this passage to illustrate what I mean in a concise manner. The word bless has two meanings that create a word picture. It means to kneel and to speak well of. The way I see it is when we humble ourselves before the Lord he is then able to speak well of us and extend his covering of keeping grace over us. In turning this blessing inside-out we see that by submitting our lives to King Jesus we are better equipped to not only bless others but to extend keeping grace to our brothers and sister. I see this passage as subsequent to the first. The Lord rejoices over those he has blessed and makes himself available with mercy, grace, and help in times of trouble. When the joy of the Lord is our strength, we are more inclined to be gracious. The Lord longs for us to know him face to face, and it is in this close relationship that we find peace. In the Hebrew mindset, peace (shalom) is the highest form of blessing known to man. Jesus intends that through our earthly relationships we would make known him who is the source of our peace, and how he can be that source to them as well. This entry was posted in Uncategorized and tagged building bridges, cross, love on May 25, 2012 by Brook Fonceca. As most of you know, Autumn and I, along with our children, organize the Kids’ Club for our Tuesday Night Community Classes here at VLC. It has been on Autumn’s heart in increasing measure to reach a greater number of children in our neighborhood. We have also been encouraged by others to pursue this direction. To that end, we decided to run what we’re calling a Sports Clinic during Kids Club. The results outpaced our expectations. We had nearly 30 kids from the neighborhood last Tuesday (April 24). Blessed mayhem! I refuse to analyze this for the purpose of divining a formula of success. All I know is that we were obedient in this new direction as we continued faithfully to serve our community, providing a Kids Club for our Tuesday Night Classes. The following is God’s grace, which leads us to praise. We are excited to see where we will end up. I do know this, though, we are making connections and building bridges into our community for the gospel of God’s kingdom. Any who wish to are free to join us. This entry was posted in Uncategorized and tagged building bridges, community on April 26, 2012 by Brook Fonceca. This week, I would like to get back to square one with all this talk about bridges and such. Eight weeks ago, I sensed that this year would be a year of building bridges for the kingdom of God. With last week’s article, we talked about how Jesus and his cross are the only way into the kingdom. What, then, is the next step for those who have come across the bridge and are stepping off on the other side? Being a disciple. This is a role that never goes away for the Christian, but if it is not identified early on, the reason for being a Christian gets distorted or diffused the longer one is at it. (I believe that there are many “Christians” who are not disciples.) This is also true for those who have forgotten that this is what it means to be a Christian. In the Great Commission (Matthew 28:18-20) Jesus sent the disciples out to make disciples. I am purposefully not using the word “discipleship.” That term carries a lot of baggage that I don’t feel is helpful to this discussion. Disciple means learner. Jesus taught his disciples along the way of life. To be a disciple of Jesus meant to be in relationship with him and be in community with him and the other disciples. The disciple learned from the master, Jesus, and from the other disciples. In essence, this has not changed for over 2000 years. We still have one master, Jesus, and we have a community of disciples. The integral part in all of this is that disciples stay disciples. Here at VLC I think it is plain to see that Pastor Stuart and the other leaders try to keep the organizational structure pretty flat. Those who are identified as leaders (whether they recognize it or not) are simply disciples with experience and who are willing to encourage other disciples along the way. A leading disciple is always still a learner of the master, Jesus. My prayer is that we would discover or rediscover our role as disciples of Jesus, and that as we help others across the bridge into the kingdom they too would understand that role for themselves. This entry was posted in Uncategorized and tagged building bridges, disciple, leadership on February 17, 2012 by Brook Fonceca. As we continue in this discussion of building bridges, I must admit my way of visual thinking is kicking in again. Though, what I see and what I believe seem to be at odds, but there is a further truth still. I still don’t believe that using “us and them” language is helpful in reaching people for Jesus, but the fact of the matter is that there are those who are in God’s kingdom and those that are not. In my mind’s eye I see believers and unbelievers mingling in the borderlands of the kingdom. As I wrote two weeks ago, the church is the bridge to the kingdom. The church with its daily interactions with the world can only bring people to the edges of the kingdom. The cross of Jesus is the only bridge into the kingdom of God. You may have seen a picture something like this one when you heard a presentation of the plan of salvation. This is only the beginning. This first step enters a person into the greater story of the gospel and also into the people of God who continue the ministry of Jesus, which is to bring salvation in all its forms to anyone in need. (Luke 4:18-19) May our life in Jesus be a bridge to new life in him through his cross. This entry was posted in Uncategorized and tagged building bridges, cross, salvation on February 10, 2012 by Brook Fonceca.